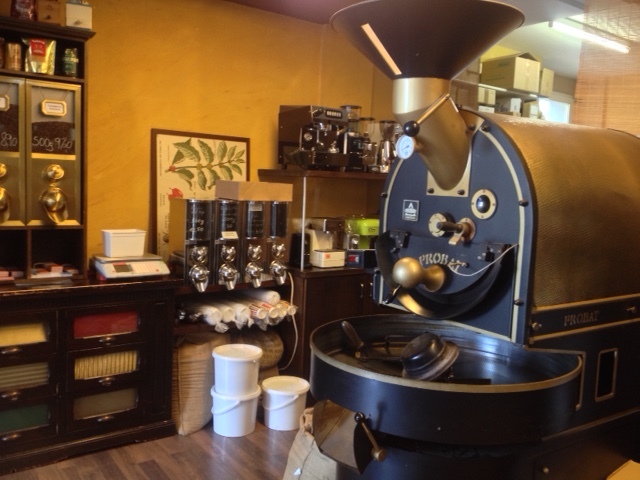 On my continued quest for great coffee I was introduced to Kaffeebohne in Dornbirn. 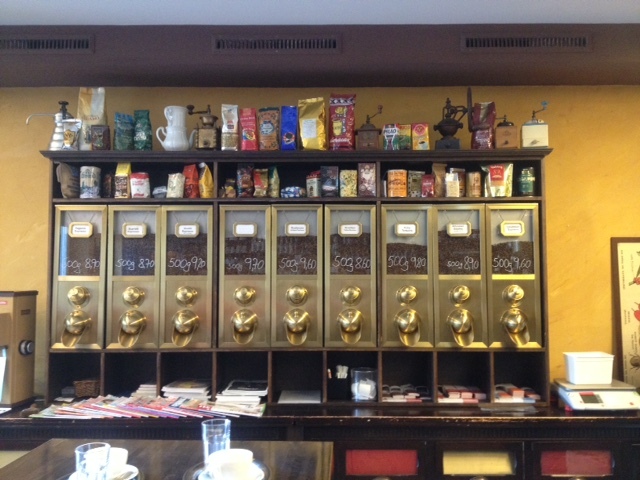 Hidden down a side alley off Marktstraße this hidden gem is a coffee and chocolate lovers haven. They are passionate about good coffee and proudly roast their own and as you enter you are greeted by that beautiful coffee aroma. This cafe has a certain warmth to it that makes you feel at home immediately. 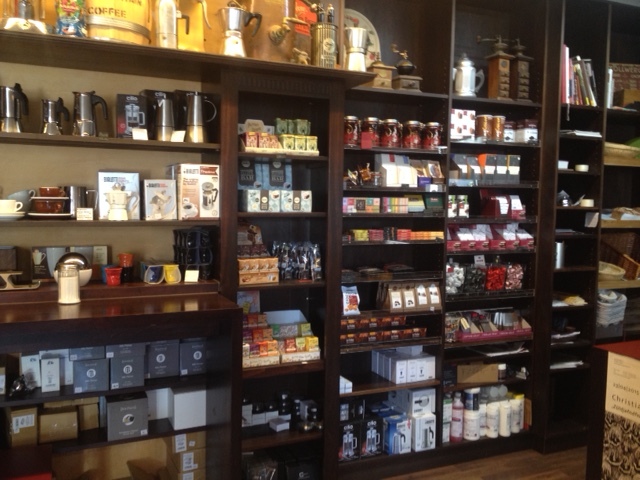 The first thing you notice is the coffee roasting equipment standing against the back wall, but most importantly you then see that they have one wall dedicated solely to a whole array of different coffee beans which are for sale. You can buy these either whole or grounded. If you want to buy their coffee to enjoy at home everyday but don’t have anything to make it in then look no further, you can also buy a variety of coffee making equipment. If the aroma is too tempting and you can’t wait to get home to sample their coffee, then take a seat at the large rustic table filling the room making it feel more like you’re at friends house than in a cafe. I ordered a black coffee in order to get a good taste of their roasted beans and my friend ordered a chai latte. I enjoyed every sip of this well roasted coffee and my friends chai latte did not last long and lived up to her expectations from previous visits here. Along with the selection of coffees on offer, you could also indulge in a hot chocolate or if you’re looking for something a little stronger a glass of prosecco may be more to your liking. Both of our coffee’s were served with a little chocolate and if this got you wanting more then you’re in the right place. They sell a good selection of speciality chocolate including organic dark and milk chocolate and a variety of flavoured chocolate bars. I decided that I had better leave before the temptation to buy a whole shelf took over. However this little coffee house ticks all of the boxes for me in terms of quality, service and atmosphere and the lure of both their coffee and chocolate will certainly have me heading back their soon. I might even pop in for a small breakfast, as the fresh bread on offer looked very inviting.